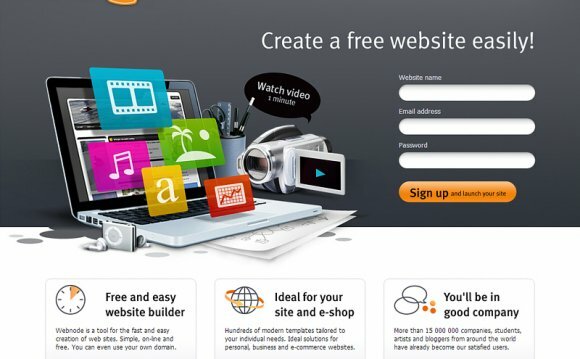 All these web building platforms, including Wix and Weebly offer a completely free entry point, but the trade off is that you have to accept certain limitations that free website builders put in place. When you upgrade from a free to a paid tier you get access to additional perks, such as unlimited customization, domain hosting, custom URL registration, and more. Different companies offer different bonuses along with their services. Wix is one of the most popular web builders out there. Its growing every day and as 2015 came around, it was home to around 55 million users; the site is well loved. More importantly that that, it offers a wide range of features on both its free and paid options. With a free user account, Wix offers tons of templates to choose from. Once you've selected a template, you replace the text with your own. If you have a one-page site and just need to edit the templates default text, you can be all-set in a couple of hours. It can be that quick! And Wix doesnt restrict access to any of its design tools in the free version. And even the free version gives you a ton of bandwidth; its perfect for starters. The only things that set the free apart from the paid option, is a small ad in the upper right hand corner and a small banner in the page footer that says made using Wix. And the ability to use a custom URL. So, its a perfect playground to test out your ideas before youre ready to pay just a few $ a month and remove the adverts. You dont have to make the decision to upgrade right away, and you can just go month-to-month if that suits your needs best. Weebly's free website builder option allows users to create unlimited pages, but only six can be displayed at any given time. They also provide free hosting. Wix also offers numerous themes to choose from, all of which are divided into categories based on the type of website. Their paid options have varying ranges of benefits. At $4 per month, Weebly allows users to connect their site to their own domain and to remove the branding from the site, in addition to premium support from a specialist team. The $8 per month option adds more multimedia features and a site search function. And finally, the business version, at $25 per month, offers everything you could think of. It's the full package ecommerce and every other possible feature.